The implant, designed to restore the talo-calcaneal alignment, is made entirely of poly L lactide, a bioabsorbable material.The prosthesis was developed from a surgical method created by Professor Sandro Giannini of the Rizzoli Orthopaedics Institutes in Bologna.This polylactic medical device is designed to restore the talo-calcaneal alignment. 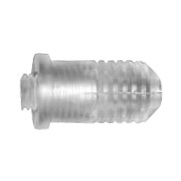 It consists of two components: an outer cylindrical body (plug) and an internal cylindrical body (screws).The plug, of a specific size, features a deformable wall that allows the outer cylindrical surface to be inserted in axis with the sinus tarsi. 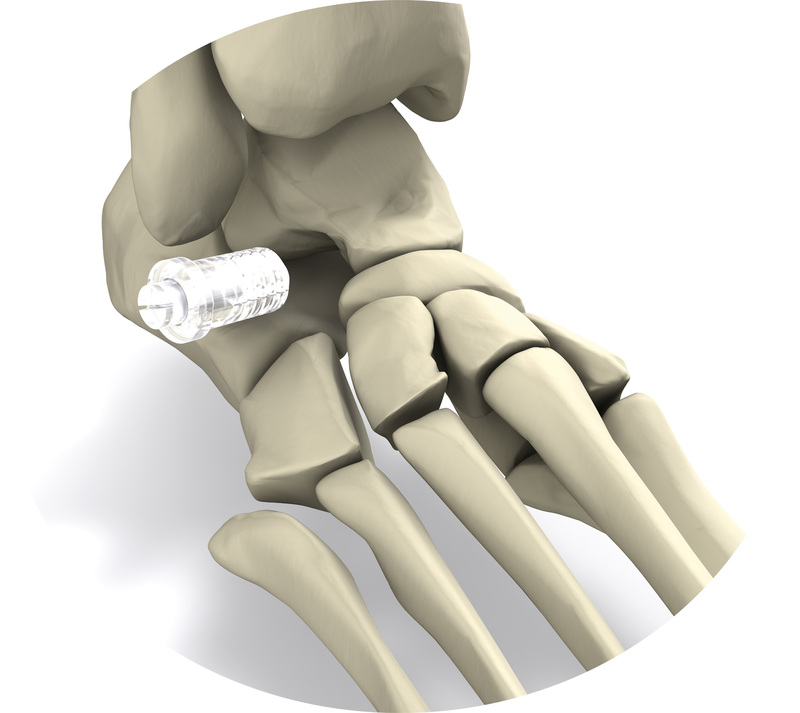 The plug acts with the screw to ensure that the implant remains in situ, thanks also to the knurled wall of the plug itself that, when screwed, expands the implant, anchoring it between the calcaneus and talus. The implant is made of polylactic, a biodegradable and biocompatible polymer, which eliminates the need for a second surgery and provides a further advantage: it degrades very slowly thus allowing and supporting the complete correction of the foot plate deformity. The device is available in two sizes (size 8 and 10).Bioabsorbable implants have demonstrated their ability to fulfil the demanded requirements, over many years of use as indicated by scientific literature, clinical studies and follow-up.